Gaya is a city of ancient historical and mythological significance. 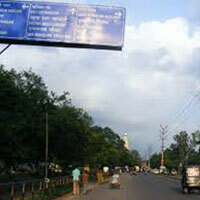 It is one of the major tourist attractions of Bihar. 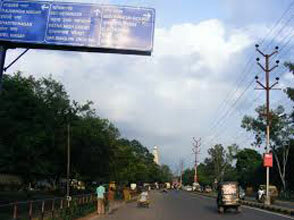 Gaya is the 2nd largest city of Bihar, with a population of 470,839, and is also the headquarters of Gaya district and Magadh division. Bodh-Gaya is a religious site and place of pilgrimage associated with the Mahabodhi Temple Complex in Gaya district in the Indian state of Bihar. It is famous as it is the place where Gautama Buddha is said to have obtained Enlightenment (Pali: bodhi) under what became known as the Bodhi Tree. Patna to Gaya - 98 kms (3 hrs)Meals & drinks other than specified in inclusions. As soon as Guest arrives, journey will be began for Gaya (Bodh-Gaya)which will includes different sightseeing like Vishnupad Temple, Mahabodhi Temple, 80 ft statue of Lord Buddha, Bodhi Tree, Chinese Temple, Nippon Japanese Temple, Royal Bhutan Monastery , Sujata Kutti. Guests will have their lunch at Bodh-Gaya and later they will move for further sightseeing. After completion of all sightseeing guests will move back for Patna.